Although considered to be a chef’s sanctuary, a professional kitchen is far from it. Chefs who spend long, gruelling hours in the kitchen are susceptible to all kinds of hazards. A commercial kitchen is equipped with appliances designed to sear, slice and chop food. These appliances could very well do the same to a busy, distracted chef. A kitchen can be a hazardous environment if preventive measures that ensure a safe workspace are not in place. Accidents often prove to be expensive so learning how to prevent them will most definitely benefit your business. Why take the risk, when you can do something about it? Slips and trips are the most common accidents in a kitchen. Kitchen floors are often slippery from spilled liquids and grease. This is extremely dangerous when working with hot implements and sharp knives. Compensation claims from injuries such as this amount to millions of dollars annually. Not to mention that staff may be off work for four weeks or longer. There is no reason to fret, as using materials designed to reduce this risk and help you comply with health and safety regulations can prevent slip hazards. Consider installing anti-slip mats, wet-area mats and safety mats to help keep kitchen staff safe. Keep kitchen floors dry and train employees to clean immediately after a spill. Serious slip accidents will cease to exist when you implement the right cleaning protocols, appliance maintenance methods and safety materials. The adage ‘dress for success’ applies to chefs too. A chef’s uniform, however is more than a fashion statement. The immaculate white uniforms that we have seen chefs wearing, serve a purpose. There is a distinct function for each of its components, which all play a specific role in protecting chefs from potential dangers such as burns and scalds. For instance, a double-breasted chef’s jacket serves as a two-layer barrier against splashes and spills. The long sleeves provides protection against burns and scalding. The white hat, also called the ‘torque blanche’ helps chefs to stay cool in the kitchen and prevent the unfortunate incident of serving food with hair in it. A chef’s apron is longer and wider than traditional aprons and helps to prevent potential hazards. Chef pants are wide and loose to allow movement and flexibility in the kitchen. Reversible coats made from cotton helps to insulate and protect chefs from the soaring temperatures in the kitchen. Chefs use Tea towels to pick up hot plates, wipe surfaces and dry hands. One of the most important elements to consider are slip-resistant, comfortable shoes. Today, chefs have a wide variety of urban-inspired workwear to choose from to match their restaurant aesthetics and their personalities. Industry experts have unanimously agreed on the need to implement standard operating procedures for everything from work attire, cleaning methods, garbage disposal and food preparation. Today there are legal requirements to maintain kitchens in good and safe conditions. Preparation and due diligence ensures the safety of the kitchen and your staff and can go a long way in reducing unnecessary risks and costly fines. Every kitchen should be periodically reviewed to make sure everything is secured safely. Such measures are of utmost importance and can help avert work related injuries. Ultimately, prevention of accidents in the kitchen is tantamount to a successful business and good financial management. 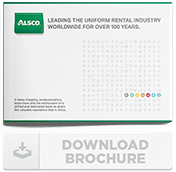 Alsco provides the best services to keep your organisation, company, small business or club safe. Call us now +65 6455 0150!